If you love Master Tigress from Kung Fu Panda 1 and Kung Fu panda 2 join please! Here is the detailed information to what Liu Zhang gets up to later in life from a 14-year-old Black Panther… To that of a 30-year-old woman. Liu Zhang is a proud member of the Furious Five, now the Furious Six. She is also the “Leader” as her friends say of the Furious Five Junior Squad. Her boyfriend, Kong Zhào, joins Liu in her adventures. Liu Zhang is now in a relationship with the Snow Leopard Kong Zhào with the two of them going out for meals and stuff, and kissing and culling each other. Nothing else has changed. Kong Zhào joins the Furious Five Junior Squad. Liu keeps on getting hurt as she keeps on looking at her insanely cute boyfriend. Just thinking about him makes her purr. 11. Kung Fu Panda 3 - Inner Peace. TITLE: Kung Fu Panda 3 - Chapter 11: Inner Peace. The Bao Gu Orphanage - The third day. As I (Tigress) laid in bed staring up at the ceiling, all I could think about was yesterday's event of my dad and my friends turning up at the orphanage. I was incredibly excited at the thought of them coming. Liu who was also staring up at the ceiling, was incredibly excited to see her biggest fans, and to be sharing her room with one of them, Master Tigress. "When you eventually go today... TAKE ME WITH YOU!" Liu said excitedly. "I'd love too Liu, but I don't think I'll be able to as my work can be deadly! What happens if I adopt you, and something happens to me later on?" I said, trying to disperse the idea and nice thought from Liu's cute little head. "Then the rest of the Five and teach me better Kung Fu, and I'll avenge your death! To train amongst the Five... Ooh!" "I can't win, can I Liu?" I said. Obviously trying to persuade Liu was hopeless. 07. Kung Fu Panda 3 - Homecoming. TITLE: Kung Fu Panda 3 - Chapter 07. Homecoming. The woods of the howling wind. While Shifu and I (Tigress) were walking through woods of the howling wind, I looked down at Shifu whom appeared to be in deep thought. “Whats wrong master?” I asked as we continued walking, adjusting the pack which seemed to be getting heavier by the minute. “Oh! Er, nothing Tigress, it seems like only yesterday that I was here.” Shifu said. I couldn’t figure out how but it was obvious. “You were only little when I first saw you, and about the same height as me... Now look at you, towering over me!” Shifu said as we laughed. “Yeah, I’ve grown! You have been teaching me since I was little, it does seem odd I must admit.” I said. Shifu smiled. “Those were the days. Don’t seem that long ago that Tai Lung was just a little cub thinking back on it. I must be getting old.” Shifu said as I lightly giggled. 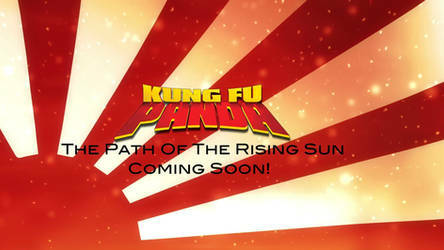 TITLE - Kung Fu Panda 3 - Chapter 01. Superlative Lethargy Training! 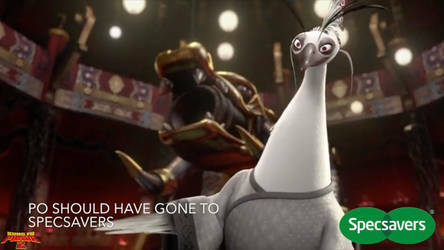 It was another early morning in the Jade Palace for Master Shifu, The Furious Five, and Po, AKA "The Dragon Warrior". But instead of constant and routinely training exercises, being in a state of 'Inner Peace', etc... We all had woken up fed up, and surprisingly nobody knew what to do for a change! There were no bad guys to fight, the Valley was at peace and literally lived to its name, and generally so was all of China at peace as well. Master Shifu just sat on the stairs that led up to the palace, the rest of the Five wondered and pondered on what to do outside on the training ground, Po wasn't hungry, and I (Tigress) just laid on my back and gazed up to the hot summers clear blue sky. "What do you have planned for today Shifu? Nothing, I have nothing planned for today!" Shifu said to himself, as he chucked pebbles down the steps to relieve his boredom. Featured: That wasn't a question! Get it? Jun 2, 2011 Hey guys! This is for TiPo fans out there who are I little disappointed about the lack of TiPo moments in Kung Fu Panda 3. I'm gonna go by a list of scenes and why they prove that there is this hope for TiPo. Feel free to disagree but no mean comments! First off, an earlier scene shows the aftermath of Po trying to teach the furious five. As can be predicted, things go terribly wrong for the five. The scene shows Tigress and the test approaching Po, all beaten and bruised. Po reached out to try and extinguish Tigress's burning ear (literally burning), and she immediately stops him by swatting him away. I don't really think it was romantic, but it was a classic funny moment between the two, showing one of their daily misadventures. I just thought it was sweet. Second. Tigress is the only one of the five to get away when Kai attacks the valley of peace. This kinda shows, like other instances, how important Tigress is the the series and what her standing is as far as her influence on what happens to Po. Basically the movie creators made her escape for a reason. Third. When Tigress interrupts Po while training and he does the Mushi finger hold. It doesn't even phase her because she knows that he's never hurt her. That shows how well she knows Po. Fourth. The way she interacts over time with the little panda girl. What better confirmation to TiPo fans than Tigress playing with a little panda baby. What if they adopted one?! Fifth. During the fight between Po and Kai. Po gets knocked to the ground right in front of Tigress and the pandas. He turns around and gives her this look that says "I'm so sorry! Run!" Tigress looks strait back at him with the panda girl in her arms and a look that says "I can't leave you here!" You kinda have to see it for yourself but it's gold! Sixth. When Po and Kai are fighting in the spirit realm and Tigress and the pandas are trying to send Po their chi, Tigress says that he taught her how to be a friend. That was such an amazing emotional moment in a general non-emotional movie. It screamed the fact that Tigress has grown a lot by knowing Po. Seventh. This conserns Mei Mei. At the end, it shows the hugging panda getting new teeth. And when he flashes a smile, Mei is all over him. And let's face it, Po doesn't show enough interest in Mei Mei for her to be a threat. Eighth. At the end, Tigress still has the little panda girl! Once again, panda babies!!! Last. Yin and Yang. If you remember the yin and yang symbolism between Po and Tigress in the second movie, then you'll know that Yin Yang is the official TiPo symbol. And in the third, it's everywhere! Hint, hint!!!!!!! And to finish, my favorite Tigress quote from the movie. "How's that for a little kitten?" hello! Thanks for accept me! If you want you can check out my galery I have uploaded my first two Tigress pics.